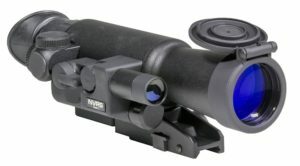 Night vision rifle scopes are very helpful for night time hunting or target practice. They are the perfect way to get an accurate look at your target in low light conditions. This is extremely helpful night vision technology for hunters who would like to remain undetected while searching for creeping animals in the night. Hunting certain game such as coyotes, hogs, raccoons and other nocturnal creatures is only possible at night, and these animals will run away if you use traditional lights. In these situations having the best night vision scope in addition to a pair of the best night vision goggles can be the difference between a good or bad night hunting session. This night vision scope buyers guide will cover any and everything you need to know to purchase the best night vision rifle scope. We spent many hours testing out a variety of night vision scopes and narrowed it down to the top 12 best scopes on the market. If you are already a night vision enthusiast, then you know ATN is a company that puts quality first with their products. That’s why it’s easy to see why we love the ATN X-Sight II 5-20 Smart Riflescope. What makes the ATN X-Sight II(Click here to check price on Amazon) the best night vision rifle scope is that it is the first digital scope to break the true HD barrier! The quality we experienced when testing this blew everything else out of the water. There were no grainy black and white images as it appeared that the x-sight II takes digital imaging to the next level. What we experienced crystal clear images and millions of colors that will have you forgetting that you are looking through a digital scope. Something really cool about the X-Sight II is that it allows you record and share the fun with your friends an family with HD videos and photos. And to make this night vision riflescope even sweeter, it features ATN RAV(Recoil Activated Video) this means no more forgetting to record the “perfect shot”. This feature automatically records videos before and after you pull the trigger so you will capture every shot all the time. The Pulsar DFA75 Digital Night Vision Attachment(Click here to check price on Amazon) is the best night vision scope under $2000 by far. At this price point is where you find the highest quality night vision scopes. The PulsarDFA75 is extremely innovative. It actually attaches to your daylight rifle scope so that you can switch between day and night vision with ease. The Pulsar DFA Digital Night Vision Attachment riflescope ring adapters are available in various diameters for a precise fit. We found the convenience of the adapter being permanently attached saved us much time on nights that we camped out until the sun came up. When the attachment is not used, the adapter accommodates a protective cap that covers the lens of an optical sight in the daytime. Another reason we like this night vision attachment is that the Pulsar Forward DFA75 delivers highly vivid images in extremely challenging lighting conditions. We knew before we even opened the box that this was going to be a good scope. Earlier in the year, we had the pleasure of testing the FireField FF24125 and the FireField FF25023 night vision goggles and we found them to be some high-quality devices. The same goes for the FireField FF26014T Tactical Night Vision Rifle Scope (Click here to check price on Amazon). It is the best night vision scope under $1000 because of it’s titanium body and sleek design that really separates itself from any other night vision riflescope. The Firefield FF26014T Tactical Night Vision also has internal focusing ability and an ergonomic design we found this made shooting a lot more comfortable. This night vision rifle scope has a super powerful built-in Pulse infrared illuminator that helps if you need to enhance the image brightness or increase range when in low light conditions. The Yukon NVRS Titanium 2.5×50 varmint hunter night vision riflescope (Click here to check price on Amazon)is definitely the best night vision scope under $500. For the price, you get A LOT of quality. Equipped with enhanced optics, a durable titanium body, and a sleek ergonomic shape, the Varmint Hunter stands out from the crowd in the riflescope category, especially at this price point. 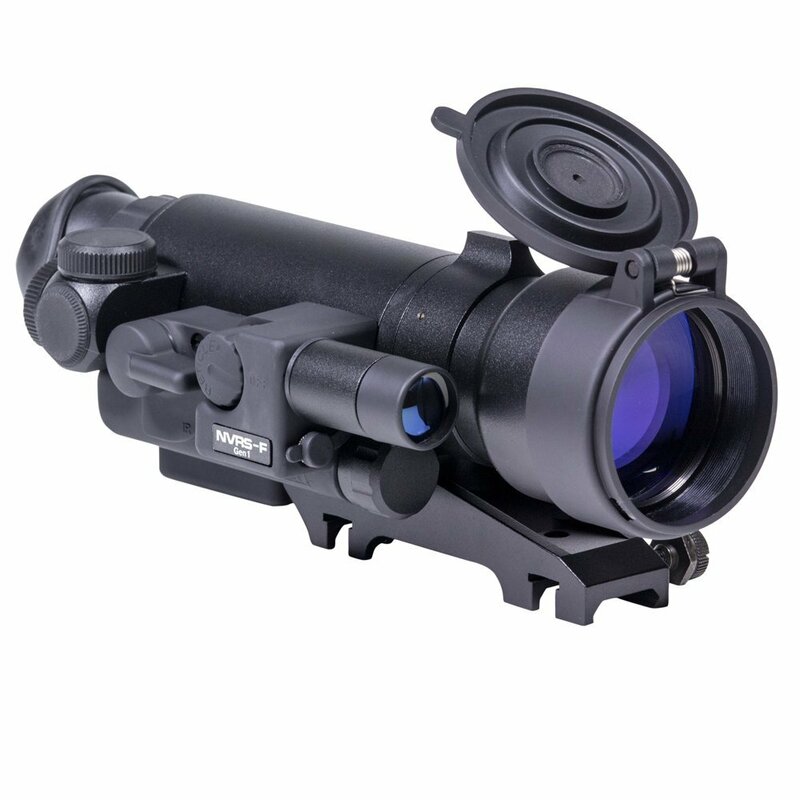 The Varmint Hunter night vision scope incorporates a long mount into its ergonomic design, this means more comfort during shooting while also enabling the scope to accommodate the widest range of rifles, this even includes bolt action styles. The Yukon NVRS Titanium can magnify up to 2.5 X so it makes it easier to hit targets from a distance. 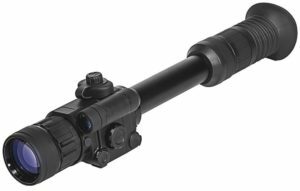 We tested this night vision riflescope night hunting some coyotes, and if you have ever hunted coyotes, then you know how important it is to keep your distance. This is where the Yukon excelled. Using the built-in IR illuminator, even in on a dark cloudy night we were able to see approximately 100 yards. This is a good quality night vision scope for the money. The Sightmark Photon XT 4.6x42S Digital Night Vision Riflescope(Click here to check price on Amazon) is the best night vision scope for AR-15 for a lot of reasons. The reason that was most important to us is how noticeably light it is. In fact, the Sightmark Photon is 30% lighter than most night vision scopes on the market. This makes it easier to maneuver your weapon than mounting a heavy sight that slows your movement. Another great feature that we loved when testing the Sightmark Photon XT night vision rifle scope is how long the battery life is. They battery life on the Photon XT is 33% longer than most night vision scopes. If clarity is important this is going to be the best night vision scope for your AR-15, it gives a crisp, high-resolution picture up to 120 yards. 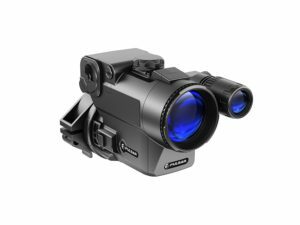 This night vision device also utilizes a digital windage and elevation adjustment system for guaranteed precision and an overall streamlined design. 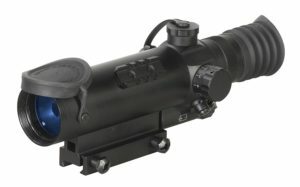 Like most of the FireField night vision devices, the FireField FF16001 NVRS(Click here to check price) is a great device. We tested this on both a rifle and a crossbow and found it to feel most natural on a crossbow. We used this to hunt some hogs late into the evening, and can safely say this is the best night vision scope for crossbows. It isn’t’ too heavy and gives a crisp image. The reason we liked this is that it had a very high magnification rate of 3X. Most of the night vision scopes that we tested never had anything higher than 2.5 X magnification. This made it easier for us to hit long range targets while focussing more on accuracy. Eevn though this night vision scope was light, it still feels very secure because of its titanium body. We also love how fast it can detach with its quick detach weaver mount. This makes it ideal for anyone who switches scopes from their crossbow back to a rifle. 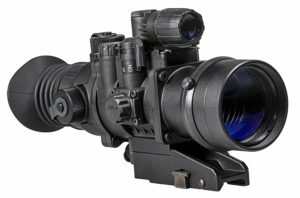 This is a very versatile night vision scope. The Armasight ORION 5X Gen 1+ Night Vision Rifle Scope (Click here to check price on Amazon) was hands down the best generation 1 night vision scope. The fact that it has 5x magnification is nothing short of amazing. This means you can be far from your prey, maintaining stealth, and remaining undetected. This is perfect for timid game that will elude at the slightest hint of danger. It’s rubberized waterproof design makes this a versatile night vision scope for just about any environment. Much like other Armasight night vision devices we have tested such as the Armasight NYX7-ID, the Armasight Orion 5x sight is arguably the most dependable, highest-performing weapon sight you can find in the Gen 1 category. If you are in the market for the highest quality generation 1 night vision devices this the Armasight ORION is the best choice. The ATN Gen 2+ Night Arrow 2-2 Night Vision Weapon Sight (Click here to check price on Amazon) is the best generation 2 night vision scope for the money. When we began testing night vision devices we loved the ATN PS15-4 night vision goggles. It was no surprise that this device was just as innovative. The Night Arrow 2-2 is a rugged night vision scope that lets you confidently observe your prey in stealth, acquire the target, and aim undetected. We liked the 2x magnification sight and found it to be an ideal choice for the demanding hunter or sports shooter. 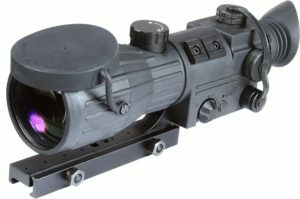 A neat feature about this night vision scope is it is outfitted with a “red on green” reticle system, with an illuminated red center crosshair that provides optimal contrast against the green night-vision background. This makes it easier to get an accurate shot. The reticle makes locking onto targets even in complete darkness a simple process. We LOVED that the ATN Night Arrow’s sight also offers an automatic brightness control (ABC) to protect the tube, along with a single knob for easy operation. 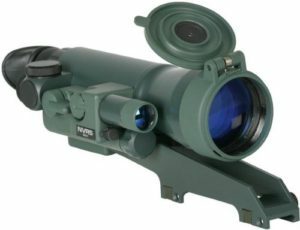 The housing is nitrogen-sealed making this night vision scope water- and fog-resistant. The lightweight, compact sight–which mounts to standard weaver rails. It operates on a single AA battery. If you are looking a night vision scope when only the best of the best will do, you know that a generation 3 night vision scope is the way to go. For this reason, the Pulsar Phantom Generation 3 night vision scope(Click here to check price on Amazon) was our pick. This unit is water and dust proof so if you can hunt in any environment.It’s 3x magnification gives you a crisp and clear look up to 700 meters in a pitch black environment. We found this to be extremely true on a late night hunting trip where trees covered up any moonlight. This was the best generation 3 night vision scope. The weight is very important when choosing the right night vision scope. Make sure that you know your preference when choosing a heavy or light night vision scope. Magnifications vary from 1.5x – 5x on most night vision devices. The best night vision riflescopes can see further, which is important if you plan on hunting nocturnal creatures. The more distance you have between you and your prey, the less of a chance they will have of detecting you. Many nocturnal animals have enhanced hearing so the further you are the better. Each generation of night vision devices are a little different. You will find the higher the generation, the higher the quality. Unfortunately, you get what you pay for so higher generation night vision scopes can cost significantly more money. While the best night vision rifle scopes are going to be generation 3, depending on what you are using it for it may not make sense to go for a high generation. Setting a realistic budget is important when choosing a night vision scope. You need to decide which features and how much quality you need to choose the best night vision scope for you. If you can do without some of the bells and whistles you can still find a quality night vision device that will work for you. In our experience, we have found the saying “you get what you pay for” to be 100% true when choosing night vision devices. American Technologies Network or ATN is another huge brand in the night vision and thermal imaging scope technology. They go above and beyond and strive for quality in their products and it shows. ATN is an American based company and is located in San Fransico. This company has been around the block a few times with more than 2 decades in the game. You can take pride knowing that you night vision devices was manufactured right here in the USA. ATN is a brand favorited by law enforcement, and pro level hunters alike. Firefield is a newer company founded in 2009. It is rapidly building its reputation among the tactical community. We like FireField because they saw a growing need for more affordable scopes, night vision devices, as well as thermal imaging products as our economy declined. They realized early there was an opportunity to serve the little guy who didn’t have a huge budget. They provide quality products but are able to do so at a much lower price. While we were hesitant with this less established brand, we are certainly happy we gave them a shot as they are definitely a high-quality company. Armasight is a huge name in the thermal imaging/night vision technological field. This US based company has been designing and creating products such as some of the best night vision scopes that we have ever witnessed. Armasight’s main office is in San Fransico, California. Chances are you have probably heard of this company before as they are extremely popular amongst those who enjoy night hunting and are also a very popular choice for law enforcement as well. This company produces high-quality scopes and has something available for every price point. As with most things in life the more you spend the better features you will get. Sightmark is also a new brand and company that was created in 2007. Sightmark has been gaining an increasing in popularity among the shooter crowd. This is another US based company, with their headquarters in Mansfield, Texas. Their slogan is for helping people “make the mark”. Sightmark offers a large variety of high-quality rifle scopes for an affordable price. Yukon is one of our favorite night vision scope companies. We noticed that their products are committed to giving you the latest and greatest features on your scope. 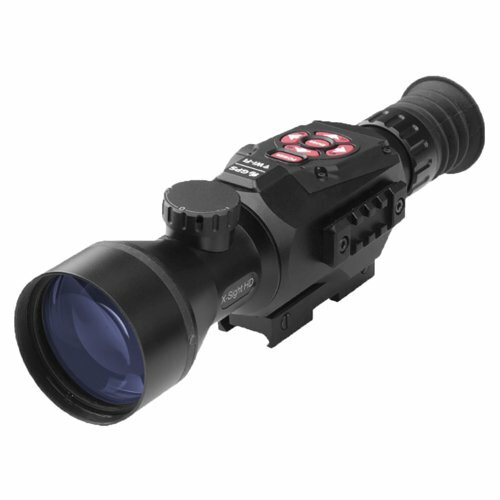 They are leaders in the night vision industry and very popular amongst shooters. Out of all the Yukon products we tested we couldn’t find one that we didn’t like. Pulsar is a leader in the night vision industry. They have been around since 1994. They are constantly coming out with new products to keep up with the technology curve, and have proven to be a favorite of many professional night hunters. Pulsar makes great high-quality high-tech night vision devices that can be used with ease no matter of your hunting skill.